Baku, Azerbaijan, 4 October 2011 - Following today's round of 16 bouts at the AIBA World Boxing Championships, 64 boxers from eight different weight categories have qualified for the London 2012 Olympic Games. Two more boxers will qualify from these eight categories after the semi-finals, if they have lost against finalists. Four boxers from each Heavy and Super Heavy weight categories will qualify tomorrow, Wednesday 5 October 2011, after the quarter-finals. Two more boxers will also qualify from these two categories after the semi-finals if they have lost against finalists. Today's Olympic Games qualification marks a significant milestone in the these Boxers' route to Olympic Games glory - a road that will take them from their national championships all the way to the ExCeL centre in London's Docklands, the venue for the London 2012 Olympic Games boxing tournament. 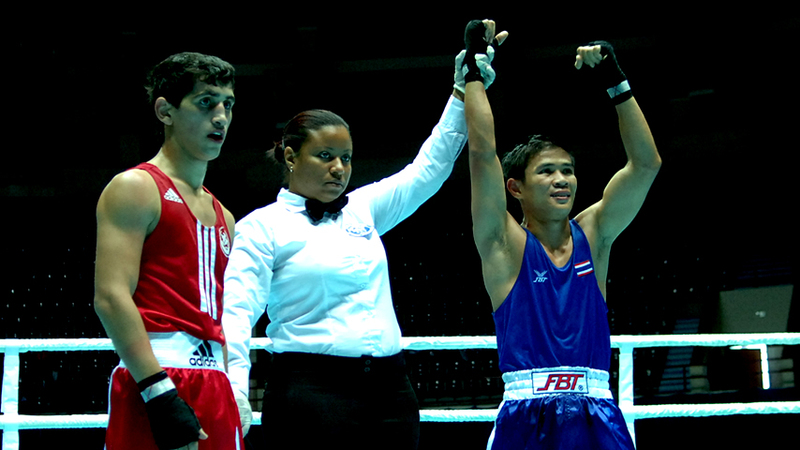 Click HERE for further detail on AIBA's strict Olympic Games selection criteria and the road to Olympic medals.